Check out Tobi's Wish Upon A Star Earrings Starry nights are yours in the Gold Wish Upon A Star Earrings. 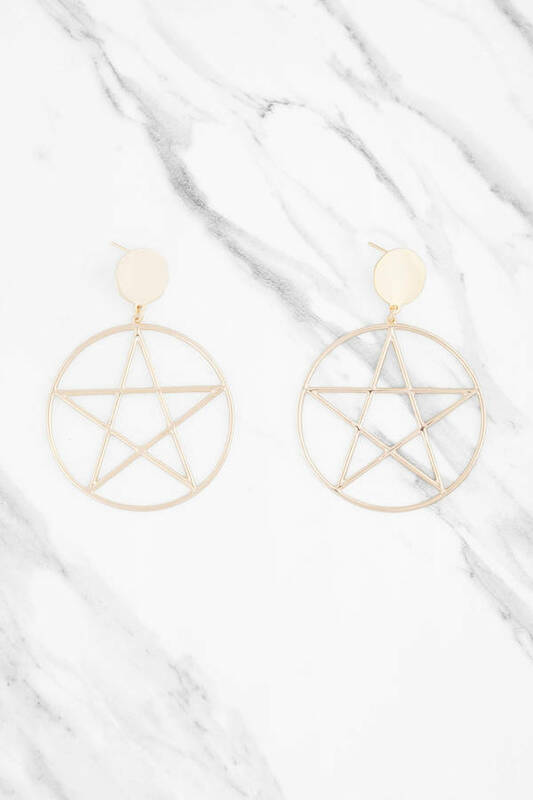 These statement earrings feature a sleek gold tone disc at the earlobe, with an oversized hoop holding a five pointed star underneath. Team these star earrings with an off shoulder dress and an updo to show them off. Starry nights are yours in the Gold Wish Upon A Star Earrings. 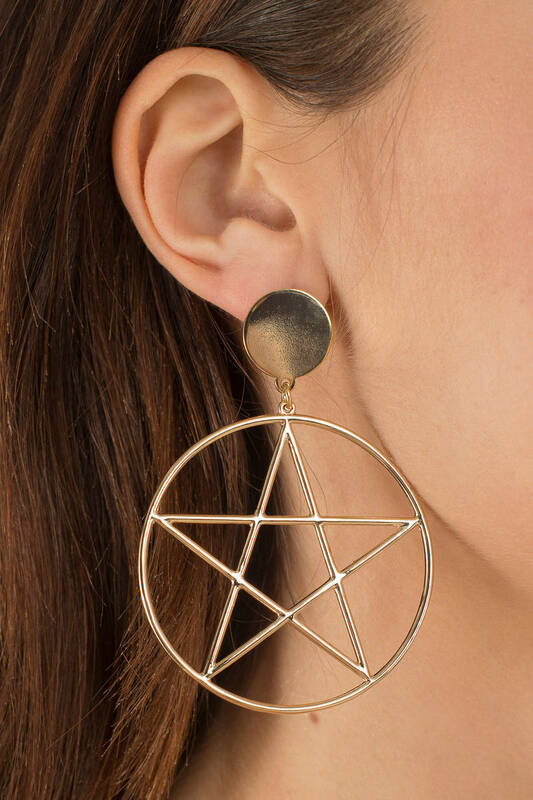 These statement earrings feature a sleek gold tone disc at the earlobe, with an oversized hoop holding a five pointed star underneath. Team these star earrings with an off shoulder dress and an updo to show them off.